In this episode of the eLife podcast we hear about fossil footprints, taking medical research to the clinic, sleepy flies, team-working ants and diversity in science. 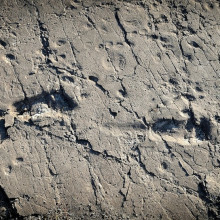 Marco - We discovered new human-like footprints dated at about 3.66 million years in the known site of Laetoli, northern Tanzania. Laetoli is one of the most important paleoanthropological site in the world for two reasons – one is because of the discovery in the 70s of some very well-preserved fossils of human ancestors – Australopithecus afarensis – the same species as the famous Lucy. The second reason is the discovery of the earliest human-like footprints in the world dated at 3.66 million years. Chris - You’ve now found more of the same? Marco - Yes. The first set of footprints was discovered in 1978 by Mary Leakey. 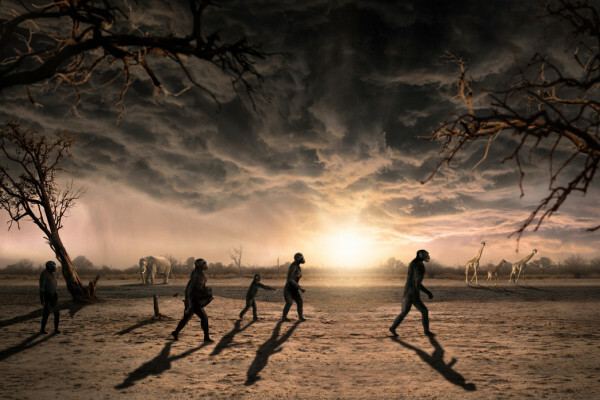 Mary Leakey’s discovery composed three different individuals walking in the same direction. We discovered just one year and a half ago, two more individuals walking on the same surface. Chris - First of all, just set the scene for us and tell us what the Laetoli site where you’ve been working looks like to an observer. Marco - The Laetoli site today looks like African savannah. It is included within one of the most amazing protected areas in the world, the Ngorongoro Conservation Area. But today, this is really a rough place rich in dust and acacia trees, and bushes, and shrubs. But sometimes in this savannah environment, a very, very peculiar rock can outcrop. This rock is a hard volcanic ash in which the footprints were preserved. Chris - So these individuals, whoever they were, when walking across some freshly fallen dust from the volcano, left these impressions behind. How did they then get preserved so that you could come along 3.66 million years later and dig them up? Marco - The preservation of fossil footprints is very rare. In that case, a near volcano was erupting several times in a few days. The ground was completely covered by this fine ash. But the other and fundamental thing is that we were in the beginning of the rain season. Some rain fell down on the ground. The ground was soft. Hominids and other animals were walking on this soft surface, leaving their tracks. Immediately after the passage of these creatures, another volcanic eruption covered the surface with new ash. Chris - How did you come to stumble upon these tracks that these extremely famous people managed to not find 30 or 40 years ago? Marco - The tracks were discovered by our Tanzanian colleagues who were working in the Laetoli area for a landscape impact assessment because the Tanzanian government wanted to build a new field museum to bring tourists to have a look. So Professor Masao was digging 50 or 60 test pits to evaluate the possible impact of this new building. During these digging activities, he discovered the new, printed surface. Chris - When you look at these footprints, what can they tell you about the individuals that made them because one thing we know, if we look at humans who walk on the beach, we can tell quite a bit about the size, stature, speed, and so on of movement of the person who leaves footprints. So what can we learn about these ancestors of ours who left the footprints? Marco - Footprints are very interesting tools in palaeontology because they can tell you much more things than simple bones. In our case, the human-like footprints from Laetoli, we can say that they were part of the same social group because the footprints were printed exactly on the same geological layer. The second thing is about the pattern of locomotion was not so different from Homo sapiens – our own species. So, this is a very interesting evidence of functional bipedalism in very, very ancient hominids. Chris - What about the potential size, the proportions of the individuals that made them? What can you learn about that? Marco - We were really, really shocked when we cleaned the new trackway because it is composed by very, very long footprints. So, we can expect that the owner of these feet was a tall individual. We found that one of our new individuals could reach the stature of something like 1.65, 1.7 meters. Comparable to modern humans, normally, we thought that these ancient human ancestors were tiny creatures. For the first time, we have sure independent evidence of the occurrence of individuals with very high stature. And, in the same site, we have individuals with different sizes. This is one of the most important novelty of this work. We have tall individuals and we have also tiny individuals for the first time in the same place at the same age. Manoj - Many investigators in the past have looked at individual studies that have been performed in the lab and said, “Hey, this looks great. Let’s try this out in patients now.” However, that’s been met with largely, unfortunately, negative results. Meaning, most things don’t work that way. Chris - Is that not what we call evidence-based medicine? Manoj - It is in some ways, but the problem with what we called preclinical work or basic science work, the evidence base is usually pretty small, and you're talking about experiments with 10 to 20 animals. However, clinical medicine usually, we’re talking about evidence that covers thousands of patients. Chris - So you're saying there's a fundamental problem here. people do research on a small group of animals and then call those men not mice. Manoj - Unfortunately yes, that’s usually what occurs and what we’re trying to do is provide an alternative pathway that perhaps people can explore to get things from the bench to the bedside. Basically, we’re looking at using stem cells to treat septic shocks. So that’s when you have a life-threatening infection – when a person has this, their blood pressure gets very low. They get admitted to an intensive care unit. Right now, what we do for these patients is we give them antibiotics. We give them lots of fluids and then we give them other supportive treatment. We treat the underlying infection if we can find one as well. Chris - What would be the rationale then for attempting to use stem cells in that sort of setting? How might stem cells assist a doctor making someone with septic shock get better? Manoj - We think they might work in several ways. So, often people think stem cells go in and they become part of your body. However, in the setting of septic shock, we think these cells go in and they have anti-inflammatory effects. So, when you have septic shock, you get really a huge amount of inflammation that occurs in your body. We think these cells decrease the inflammation and allows the body to recover a little bit better that way. Chris - What did you find when you began to survey the landscape of this subject a bit? Manoj - What we did which was different from what other people have done in the past when they're trying to move from bench to bedside, we looked at the complete literature. So, we performed what's called a systematic search to try to find every single study where they had given animals these stem cells. What we found was that overall, that these stem cells, when you looked at the broad literature, reduced death in these animal models of septic shock. Chris - Were you happy that those studies that you were looking at had been conducted in a rigorous way, in a way that could be translated to the bedside in an appropriate way rather than in a speculative one? Manoj - First of all, I guess on the surface, yes, we’re happy that many different labs and many different groups have almost replicated the same sort of results, meaning that they had these animal models of septic shock and overall, it appears that these cells are protective. On the flip side which is a little bit concerning, the rigour that you were speaking about there, that’s where I think we can improve ourselves as basic scientists in terms of looking at ways that we can reduce what we call bias in our studies. Chris - Is that not something though that basic science should be across anyway, somehow who is training to become a professional scientist should understand from the get-go, how you do an unbiased balanced, and rigorous study? Otherwise, it’s not valid science. Manoj - That's a very good point and I think it speaks to something that we’re only recognising in the last few years, and that’s that we don’t get this sort of training. Really, when you're looking at these sort of methods to reduce bias to improve rigor, they're not really taught in a systematic way to trainees. Chris - Would not a cynic put it to you though Manoj, that actually, what you’ve done is what you should be doing anyway before going anyway near a patient with any piece of research. We ought to make sure that we have thoroughly appraised the literature so that we make completely evidenced based and informed decisions about anything we do. Manoj - I would agree with the cynic and say, yes, this is what we should be doing. However, unfortunately, that’s not what's been done in the past. There's a couple of very good examples of this where clinical trials have been designed and the push to move from animal work to patients was around a couple of positive papers. So, one was on endothelium receptor antagonist for heart failure and second was on an antioxidant agent for stroke. 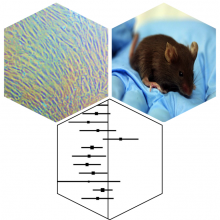 There was what we thought were promising preclinical results. However, the clinical trials ultimately failed and then retrospectively, scientists went back and looked at the complete literature. Surprisingly, what they found was the evidence really wasn’t that great when they conserved the complete body of literature. 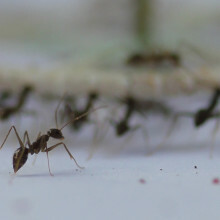 Computer simulations reveal how ants work together to carry large food items back to the nest. Kenny - My name is Kenny Gibbs. I am a program director at the National Institute of General Medical Sciences which is part of the National Institute of Health. I work in the division of training, workforce development, and diversity. Broadly, within the scientific community, there has been a longstanding challenge. How do we assure that our scientific community is able to cultivate and utilise talent from as diverse a pool as possible as it relates to gender, relates to ethnicity, people with disability, etc. so we set out to explore a few different things. Particularly, in the United States, there has been a lot of issues around again, diversity in the scientific research workforce and because most of the scientific researchers that are in academia, think about the diversity of the faculty. So, I want to do a couple of things. 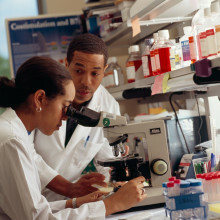 One: provide a systematic and quantitative view on what has been happening in our system over the last 35 years or so and then how do we use that to build a model to simulate where we might want to intervene as a scientific community to assure that we can enhance diversity in the research workforce in the provisory specifically. And we were looking in medical school basic science department mainly because we had access to a high-quality comprehensive data to double AMC faculty roster. Chris - What is happening? Kenny - As it relates to the talent pool, we see that there's been a really significant increase in the talent pool of scientists from historically underrepresented minority background that would black African-American, Hispanic, or Latino or Latina, Native American Alaskan native, compared to their peers from other backgrounds, we call them well-represented backgrounds. And so, we see that from 1980 to about 2014, there's a 9-fold increase in the annual number of PhDs from underrepresented minority backgrounds, graduating each year close to 900 a year whereas the faculty from underrepresented minority background particularly the basic science departments only grew at about 2.6 fold and so, we see much greater growth for underrepresented minority PhD pool welted to the assistant professor pool. This is in contrast to what we see for scientists from well-represented backgrounds where the growth of those two populations is more in line. The next thing that we see is that there's a broad light of connection between that talent pool and academic hiring. I think one piece that was pretty striking was that over the last decade, there were close to 6,000 scientists from underrepresented minority backgrounds who got PhDs in the biomedical sciences but there were 6 fewer assistant professors in these basic science departments. And so, we had close to 6,000 PhDs or were losing the population of junior faculty who will be the next generation of scientific leaders. Chris - So, you're making lots of potential people to step into those post. None of them are finding places in these institutions in those posts. Why do you think that is? Kenny - Exactly multifactorial. There could be differences in terms of the interest of scientists from underrepresented backgrounds versus the well-presented peers. Are there issues in the culture? Are there issues in the climate? Are people not part of the correct social networks? And then once we had people who actually decide to pursue those careers, there's a fair amount of evidence that there are a number of different biases that exists that can influence what happens that relates to progressing from the talent pool to academic hiring. Chris - What can we actually do to change this and rather than just guess and then wait another 20 years to see whether or not we made the right choice. Are there any ways that we can bring the huge dataset that you have access to and some modern technology to bare and untry and crack this nut? Kenny - Exactly. I think it’s a great question. What we have tried to do historically to say, when a lot of these diversity efforts started, there was really not an adequate talent pool. And so, we spent a lot of effort building that talent which we see has been effective. Well we’ve done to say, “Okay, now let’s use a modelling technology, a system dynamics model to test three approaches. One, let’s see if we just need to keep building a talent pool in isolation if that would get us there. Two, we recognise that the academic career landscape is a bit challenging at the moment. And so maybe it’s a function of just a broader labour market stress. Or three, maybe it is the function of a post-doctoral transition in academic hiring that need to be addressed.” And so, we use a system dynamics model to test those three approaches. What the model shows us is that the community needs to focus on postdoctoral transitions and academic hiring. And so, once we have this great talent pool which we do have at the PhD level, there needs to be a focus on assuring these people are in high-quality postdocs that they didn’t transition onto the market and are hired. A large pool in of itself is not enough. More faculty job in and of themselves are not enough. I think one that’s particularly interesting in a model is that we made sure that the system was on in which there was not active discrimination or biased. And so, even in that case, the model predicts that there's not going to be a substance of change through the year 2018. Even with we had 70 % minority PhDs, we still would have less than 10 % minority faculty. And so, I think it helps us to say that we don’t have to have malice or ill intent to have this kind of disconnect. It’s just a system architecture thing that we’d be thinking about more concretely how do we focus on those post-doctoral transitions and then making sure of the hiring practices online to identify and then cultivate this talent. Chris - Would not the people who were getting those jobs at the moment turn around and say, “Well, I've worked hard too”? Kenny - Yeah. I think everybody works hard. And so, the question sometimes is, why diversity? Then I say, “Well, why not?” Why wouldn’t we want the broadest pool of qualified people tackling these tough challenges? What I'm saying, the result is just saying that we actually have a large pool of talented and qualified people that for some reason are not making those connections. 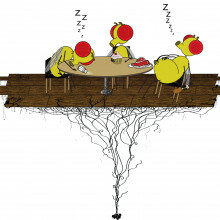 And so, we have been thinking about how do we assure those connections are being made and we know that diversity in many respects is critical to scientific excellence, the groups have more diversity, tend to ask broader questions, and play a lot of variety of approaches, and ultimately, go on leading to newer types of innovations. So there's nothing against the people who’ve gotten those jobs. It’s just to say, “Hey listen! Make sure that we have a full and fair competition.” And it seems to be at the moment, there is some disconnect which is not allowing us to have as robust the competition as we might want.